Travelling to your desired choice of hotel by a helicopter is extremely convenient, since it drastically cuts down the journey time; and moreover, you don't have to endure the notorious road traffic if you are staying in a populous city. 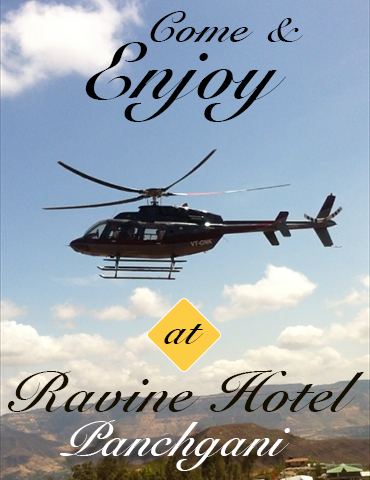 Ravine Hotel, situated in Panchgani, Maharashtra is not just a wonderful holiday destination where you can unwind; but it is also one of the few hotels with helipads in the country. You can enjoy the aerial experience which includes breath-taking views of the hills and rivet valleys surrounding our resort. How do I book tickets for the helicopter facility? Ravine has appointed Deccanair to provide this transport facility. Operating since the last 15 years, Deccanair is a leading aviation firm managed by world-class professionals. 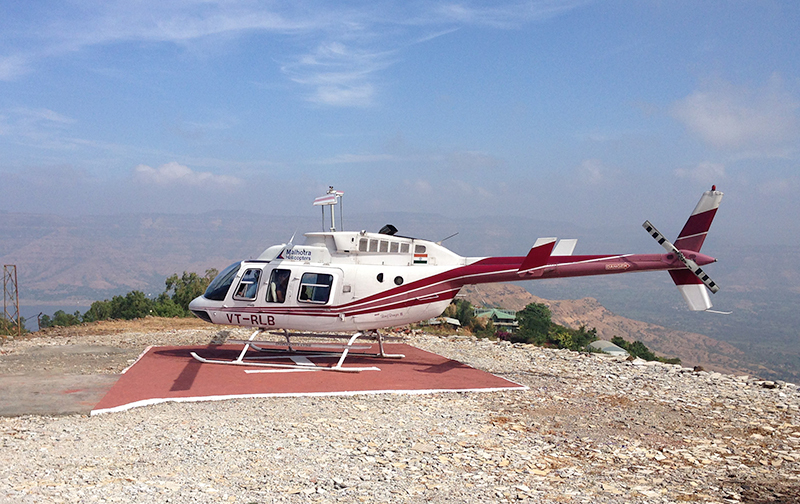 It has a fleet of helicopters which cater to all types of requirements. 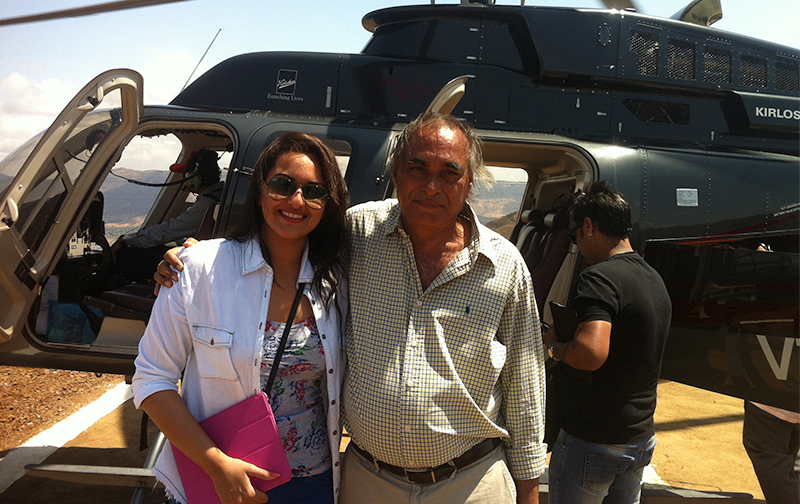 One can directly make a booking with Deccanair, or assign the task to Ravine by placing an inquiry. We will co-ordinate with the company and make a reservation as per your needs. Other options are offered as well; which are provided on an availability basis. Security restrictions and baggage limits are decided on a case to case basis. An important factor to be kept in mind is that the time taken to reach Panchgani from different starting points depends on the take-off location and the weather. Whether you are leaving from Mumbai or any other major city, ensure that you inquire about the boarding location beforehand. Another recommendation is that you check the connectivity to further travel means, such as roads, railway station, etc. from the helipad. Reach the boarding point at the stipulated time and follow all necessary procedures. Individuals who are disabled can ask for assistance. You will be served some light refreshments such as wafers, cold drinks etc. during the flight. 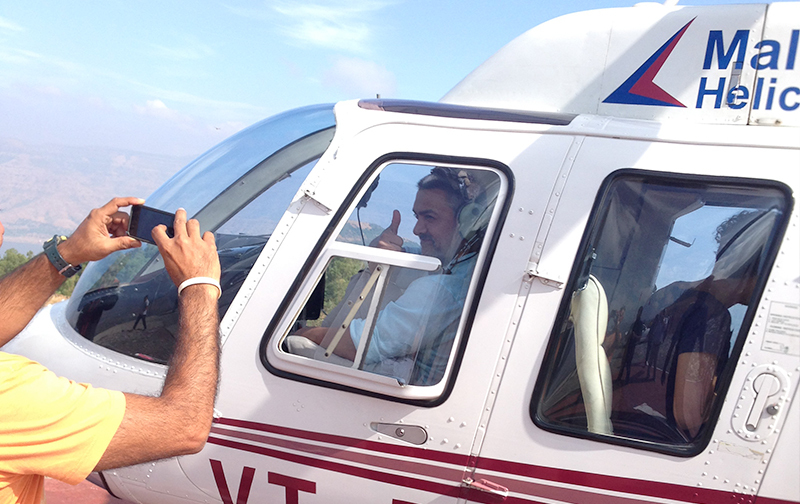 All flights and helicopters are equipped with a first-aid medical aid kit for any unforeseen emergency. Nonetheless, it's advised that passengers carry medications which they might need on-board, in their hand baggage. 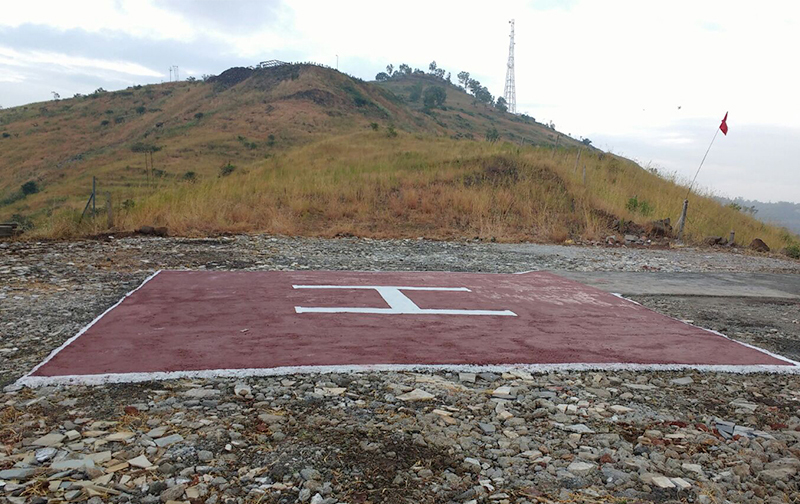 With Ravine being one of the premier resorts to initiate helipad services in India, it won't take you long to reach your favourite vacation spot and that too in style!